Brain Craig went above and beyond to ensure that our purchase of a new truck was a great experience. Brian was devoted to ensuring that we got the right truck for our business needs and financial budget. We discussed several different options and changed directions a few times, and he was always positive and helpful and easy to deal with. 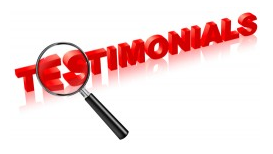 We believe he worked very hard for us to make sure we were satisfied with our decision and purchase from the beginning to end. We have already recommended my parents to see Brian for a possible purchase of a Mustang. Thank you Brian, your help, dedication and knowledge was very much appreciated. Next post: A referral for Thomas! Previous post: More than a believer, an enthusiast!